Weights for Oil, Petroleum & Paint Testing - determining the weight of ready mixed paints and enamels in kg per ten liters. Each cup is supplied complete with lid. Two models are offered. - Weight per Ten-litre Cup, Stainless steel, 50ml - brass for above - Weight per Ten-litre Cup, Stainless steel, 100ml - brass for above. We are leading manufacturers, suppliers & exporters of Weights For Testing Lab for Oil, Petroleum & Paint Testing Lab. 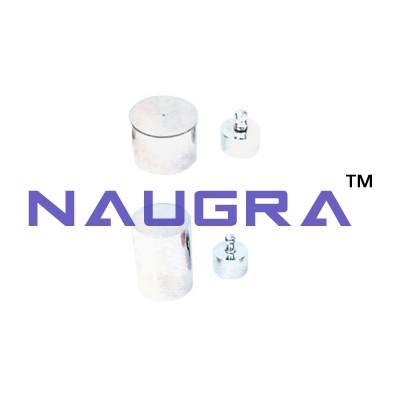 Contact us to get high quality designed Weights For Testing Lab for Oil, Petroleum & Paint Testing Lab for schools, colleges, universities, research labs, laboratories and various industries. We accept bulk orders for government tenders in all countries around the globe.